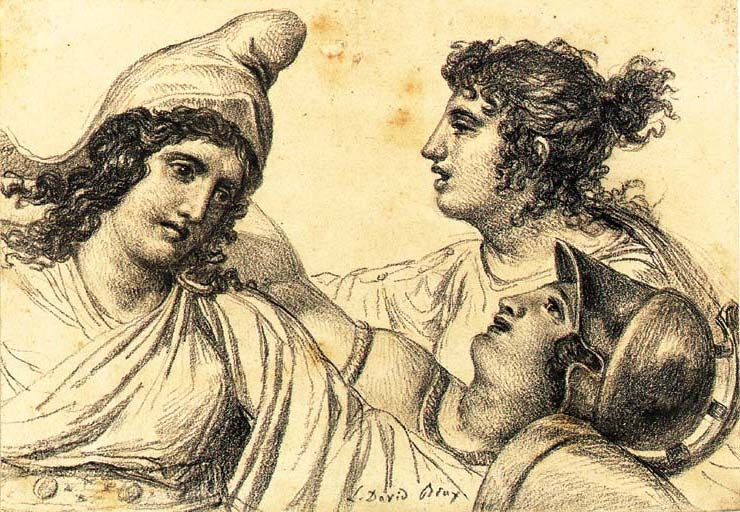 One of a group of sheets of similar size and technique, all of which depict figures from classical history and mythology, which David executed following his exile to Brussels in 1816 after the return of the Bourbons, A. Schnapper et al., Jacques-Louis David, exhib. cat., Paris, Musée du Louvre and elsewhere, 1989-90, nos. 239-245.